The item is a 10/100Mbps Ethernet Switch with 8 PoE ports and 1 port uplink port. At 120W of watts, the item supplies data and Power over Ethernet (PoE) using a single Cat-5 cable (sold separately). 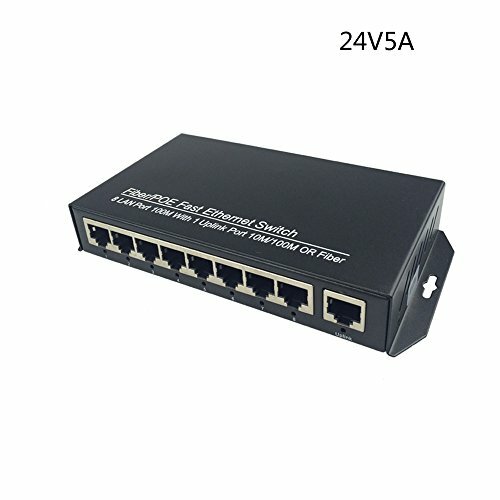 The item is suitable for IP-based surveillance cameras or IP phones or Wireless AP, but will work with any device that uses power over Ethernet. All ports automatically detect devices, speed and cable type making setup quick and easy! Plug and play, no need to set, easy to use.